Data shows that 1 in 8 women will get a breast-cancer diagnosis in their lifetime, but it also shows that a 20-minute mammogram can reduce your chance of dying of breast cancer by up to 30 percent. That’s why we offer appointment and walk-in mammograms at convenient locations, no referral needed. If you’re over 50, you’re due yearly, unless otherwise advised by your provider. Get screened and get it off your chest. Appointment and walk-in options at multiple locations for convenient care. The North Memorial Health Breast Center combines an integrated team approach to screening, education, treatment, and research with a spa-like environment, complete with warmed terry robes, calming music and aromatherapy. Our Breast Center personally contacts customers within 24 hours if their screening indicates a potential problem. 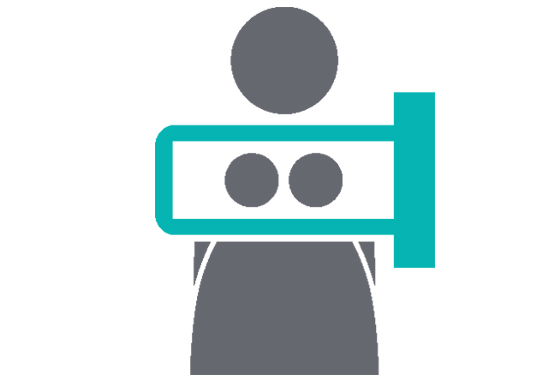 Our breast center offers full-field digital screening and diagnostic mammograms, breast ultrasound, ultrasound biopsy, and stereotactic biopsy. Our registered nurses are specially trained as Breast Health Nurse Navigators to help navigate our customers through their breast health journey. We repeatedly receive the highest satisfaction scores in customer surveys, and offer free parking in the ramp attached to the office building for your convenience. We have partnered with the Sage Screening Program to offer free breast, cervical and colorectal cancer screenings. Call 1-888-643-2584 to see if you qualify.